Video grabbed from Inglês no Supermercado FB page. Music is something that we ALL love! It’s an addiction! An addiction but in a very good way! No matter what genre you love to listen to, we can all agree that music is a great part of our lives. 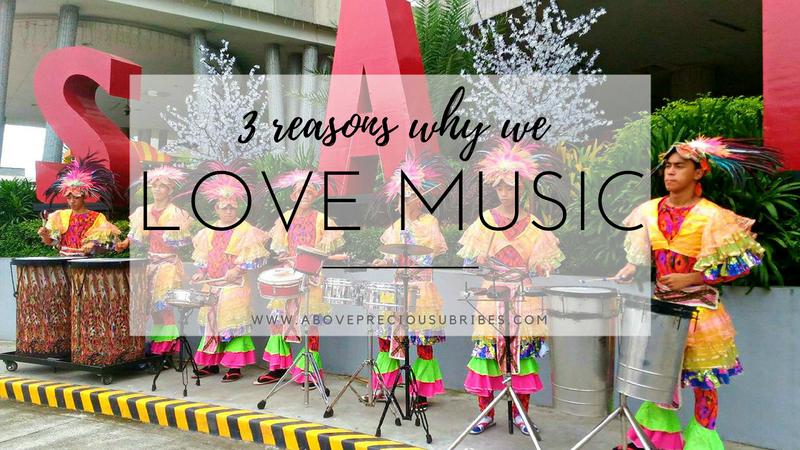 Here are three of the many reasons why we love music so much! How many times have you sent a message to someone through music or sounds? I personally don’t remember but I have used music in the past to convey my messages to other people. Music is an art that everyone can relate to. It’s a combination of words and sounds carefully placed together to make a perfect harmony. The songwriters and composers couldn’t make a song without having someone or something as an inspiration, can they? *coughs* Taylor Swift *coughs*. Music is one of the tools that we use to communicate with others. I think this was what happened to Ms. Netherlands, lol! She didn’t get bored or tired from the rehearsals. While others look all so serious, she stepped out of the box and danced her way to happiness. It’s contagious! And it’s pretty obvious why everyone was already cheering at her towards the end of the video. Music can give us so many emotions: it can make us sad, it can make us happy, it can even make us mad and emotional. That’s how powerful a music is. It’s wonderful how a music can communicate to people. Even if you don’t understand the lyrics of the song, the sound itself, the way it’s sung and the music is like unspoken words that we all can understand. That’s the wonder of music! It’s amazing, it’s cool, it’s awesome! You don’t need to be a professional musician to be able to understand it. Anyone can relate to music, anyone can learn the music and its instruments, we have so many online stores now like http://www.musiciansfriend.com/ that sell different kinds of musical instruments, The love of music is in us, no wonder why we can easily relate to it. I agree. Music bridges a mom and her baby. And by the time the baby arrives, he can easily feel at ease especially if there's music. He hears something familiar. Yes to #3! Music is a universal language. Back when singing was still my profession, I used music as a way to speak my heart to whoever would listen. And I can see in the eyes of my audience when I have connected, no matter what nationality, age or status they were. That's true! When I was pregnant, I also listen to music, tapos si Nate, gumagalaw bigla. haha. Kxkatuwa si Ms Netherlands! Yup we love music too! Kids namin would listen to music as they sleep. It's amazing what music can bring, no?